Reward credit cards can be complicated and expensive, but the BA Amex keeps things simple. But can it compete with rival offers? There’s nothing particularly exotic about paying for groceries or commuting. But what if your weekly shop, or train ticket, could take you somewhere more exotic? That’s the idea behind the British Airways American Express: it’s a credit card that rewards you with Avios every time you use it. Avios can be redeemed with BA or its partner airlines for upgrades, flights or entire holidays. And what’s the cost? Well, providing you pay off your balance in full every month, absolutely nothing. Let’s take a closer look at the British Airways American Express credit card and see how it compares to rival airmiles cards. Apply for the British Airways American Express and you'll get a bonus 5,000 Avios if you spend £1,000 within the first three months (here are some tips on how to do this). Before applying, take a look at cashback websites TopCashback or Quidco. They occasionally offer £20 or more if you apply for this card. For regular spending on the card, you’ll earn one point per £1 spent. 9,000 Avios could take you to Paris or Berlin (return), whilst 20,000 could take you as far as Africa. If you earn 20,000 points or more, you’ll get a companion voucher – essentially a free ticket on the same flight and cabin when you redeem Avios for a BA flight. Redeeming your Avios can be slightly complicated and you’ll still need to pay for taxes on your flights: take a look at our guide here. The card comes with £75,000 worth of insurance, but it only covers accidents on the flight itself so you’ll still need travel insurance. The card’s APR is a hefty 22.9%, but if you set up a direct debit to pay off your balance in full every month you should never have to pay this. The main rival to the BA American Express is the Virgin Atlantic Reward Credit Card. It’s also free and offers 5,000 bonus points for just making a purchase (plus another 5,000 if you spend £1,000 in 90 days, but you must apply by 28 February). As it’s a Mastercard, you’ll be able to earn points at more locations and even for some bills. However, it earns points at a slower rate, just 0.75 points per £1 spent. More problematically, those points can only be used for Virgin Atlantic’s relatively limited range of flights. 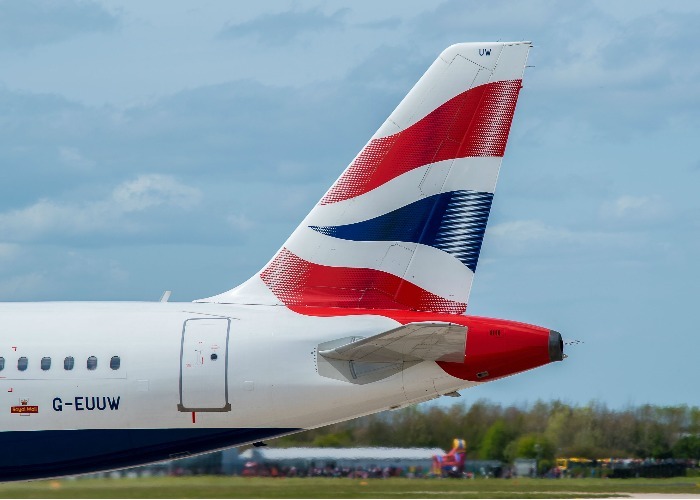 British Airways flies to far more destinations and Avios can be used on many partner airlines or BA codeshare flights around the world. Another alternative is American Express’ own Rewards Credit Card. It’s free and earns ‘Membership Rewards Points’ instead of Avios, but the two can be converted at a 1:1 ratio. It also has a higher welcome bonus – 10,000 points for spending £1,000 in the first three months. If you want bigger welcome bonuses, a higher earnings rate or perks like lounge access, you’ll need to pay for the privilege – which makes these cards only really suitable for high spenders. Consider the British Airways American Express Premium Plus Card (£195 per year), Virgin Atlantic Reward+ Credit Card (£160) or American Express Preferred Rewards Gold Credit Card (£140, waived for the first year). Whilst this card can get you on a plane, if you use it after you disembark you could be in for a shock. That’s because the British Airways American Express has a 2.99% non-sterling transaction fee plus a 3% cash advance fee if you use an ATM. Instead, use a specialised travel card: Barclays, Tandem and Halifax all offer fee-free and even cashback-earning credit cards. Reward credit cards can be complicated and the fees often outweigh the gains. In comparison, the British Airways American Express is simple and free to use, although it’ll take you a while to earn enough points for a flight. Just remember that Avios aren’t equivalent to cash: airlines can (and do) change their value regularly, plus they can expire if not used. If you’re interested, you can check your chances of being approved for the card before you apply by using our simple eligibility checker. Or apply for the British Airways American Express card here.